This post deals with usability, and making life easier for the end user. You have a report that you need to run often, but not at regular intervals. Scheduling does not work, and you hate having to navigate through CRM to get to the report. Lucky for you, there is an easy way. There are two steps to this. First one, if you are running a version of Windows older than Windows 8, is the only one you can perform. This will make a link on your desktop to the report. 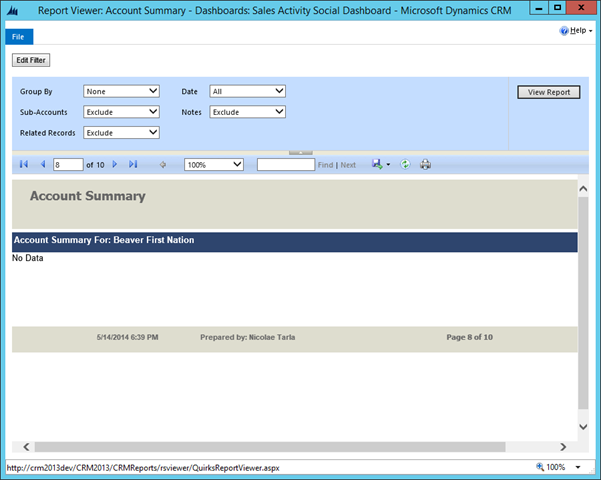 Navigate in CRM to your report. For the purpose of this article, let’s navigate to the out of the box Account Summary report. Run your report. 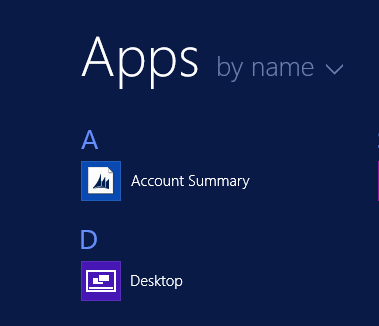 Click Next, name it Account Summary, and click Finish. Now close IE, and double-click on the new link you’ve just created. This should open up the report directly. 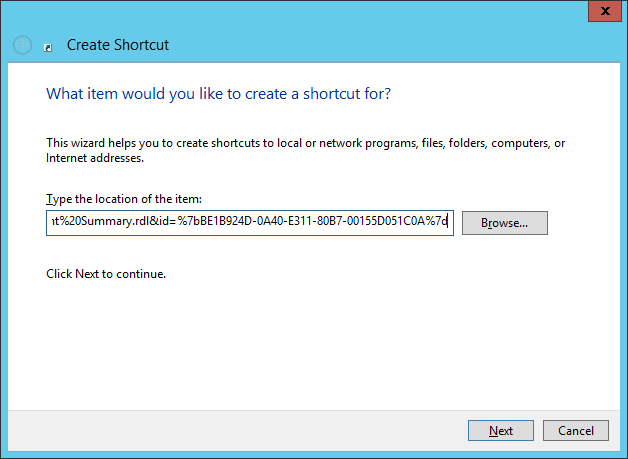 The next steps apply to users running Windows 8 or above. You can easily take this previously created link and add it as a tile on your desktop. In here, copy the link you have previously created on your desktop. Now going to the start screen, to all application, you will see the newly crated link showing as a new item. Now right-click on Account Summary, and select Pin to Start. 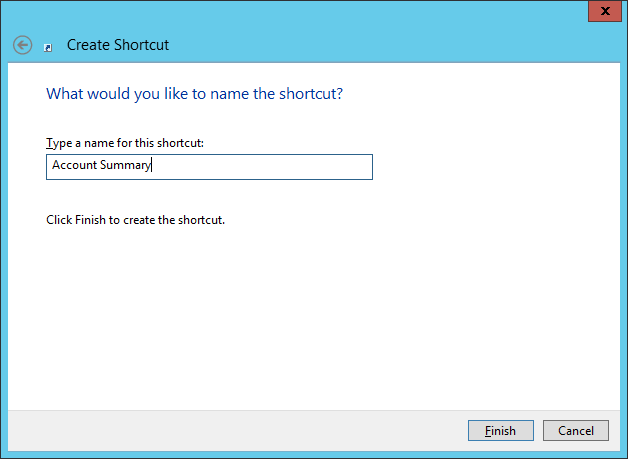 This will create a tile on your start menu.